You can’t beat having a go to cardigan for those chilly summer nights. This beautiful cardigan has been designed with an edged effect down the front with two front pockets and long length sleeves. 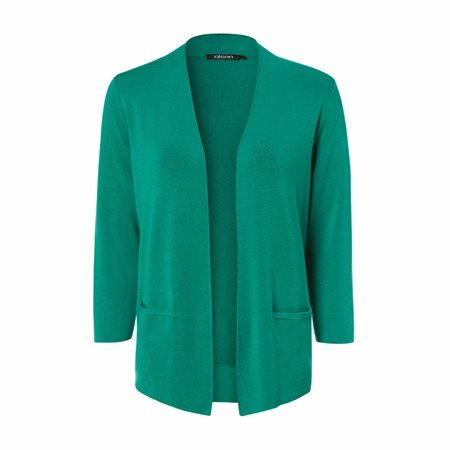 This cardigan sits open and just needs a printed top and colourful scarf to finish it perfectly.